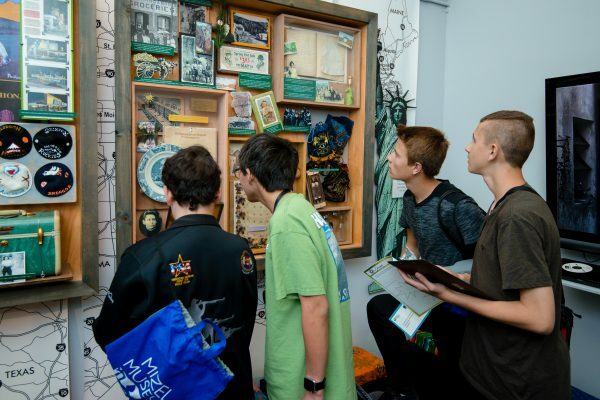 4,000 Year Road Trip: Gathering Sparks takes visitors on a dynamic and interactive journey through Jewish history and heritage, celebrating contemporary Jewish culture to inspire social transformation and civic engagement. The exhibit’s vibrant art installations, rare artifacts, digital media and photography create a visual storyline that illuminates the richness and diversity of Jewish life. Customized tours and related programs, such as Holocaust education and cultural storytelling, are also available. All Mizel Museum tours and exhibit visits are booked by appointment only. Please call 303-394-9993 or email details@mizelmuseum.org to schedule your visit.